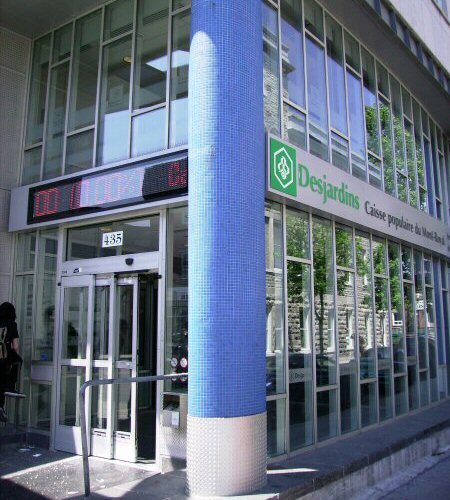 View of the Montreal bank entrance, where the installation is located (Caisse populaire Desjardins du Mont-Royal, 435 avenue du Mont-Royal Est). General view of the installation. The sensors (temperature, humidity, and pression). From April to May 2008, artist and architect Juliana Rosales from Montevideo (Uruguay) participated in a research and experimentation residency at OBORO’s MediaLab as part of the program Research and Experimentation Residency in Montreal for Professional Artists from Emerging Countries or Regions, offered jointly by the Daniel Langlois Foundation and OBORO. Rosales’ work mainly focuses on the relationship between landscape and new media, architecture and nature. The artist is interested by the way in which the digitalization of data allows us to discover new realms of nature. Her installations aim to encourage users to interact with the landscape and attempt to document the imperceptible. Inside the lobby of the Caisse populaire Desjardins du Mont-Royal in Montreal, Rosales has created a botanical installation with native plants from the Laurentian (a region north of Montreal). Various sensors monitor a range of environmental parameters as well as the reactions of passers-by. 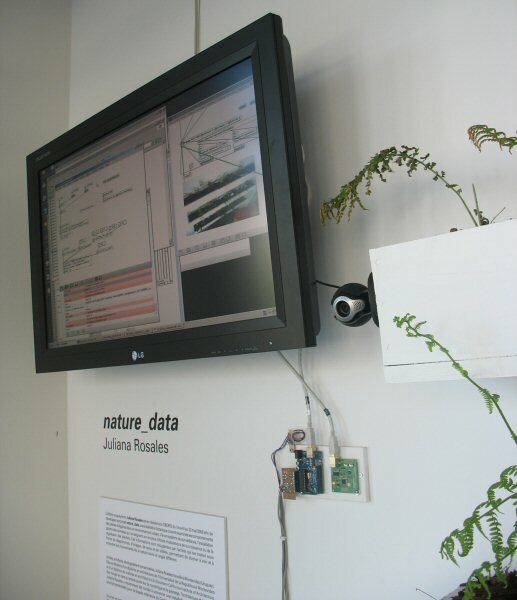 nature_data is Rosales’ second installation in a series that fuses art and science and builds on her ongoing collaboration with botanical engineers. 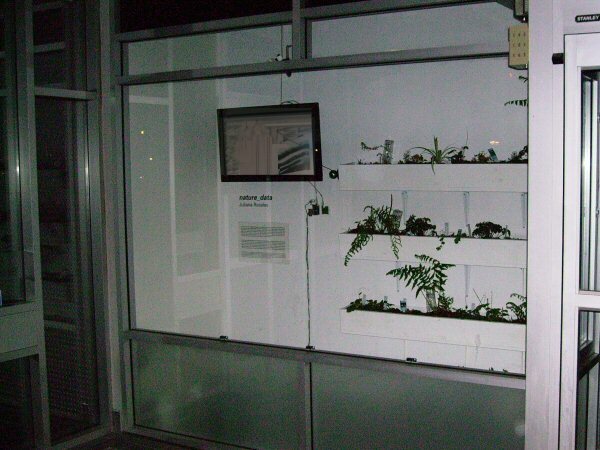 In 2007, Rosales was commissioned to address environmental issues through the creation of an installation of live plants on the interior façade of the Centro Cultural de España (CCE) in Montevideo. Juliana Rosales is a video, net art, noise and installation artist, architect, photographer and curator working in Montevideo, Uruguay.